”Divina Moneta. Coins in Religion and Ritual” eds N.M. Burström and G.T. Ingvardson, series Religion and Money in the Middle Ages. 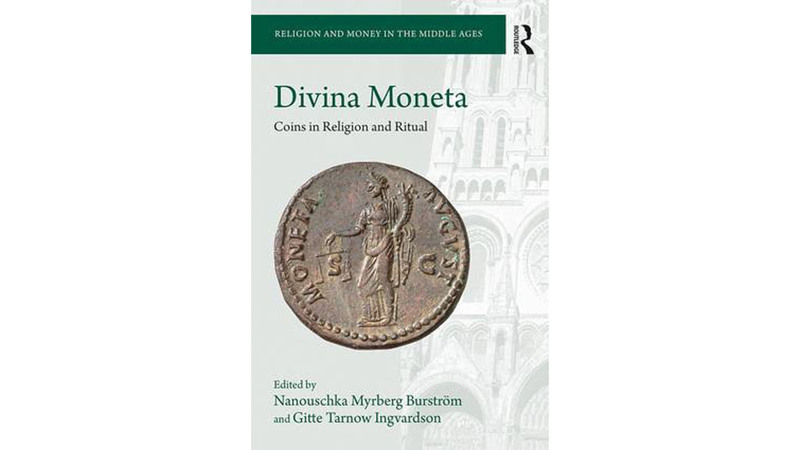 This edited collection analyses the phenomenon of coin use for religious and ritual purposes in different cultures and across different periods of time, from the Roman period until today. It proposes an engagement with the theory and interpretation of the ‘material turn’ with numismatic evidence, and an evidence-based series of discussions to offer a rich and fresh account of coin use in ritual contexts. The volume brings together well-established and emerging scholars from archaeology, art history, ethnology, history and numismatics, including well-known numismatists such as Martin Allen, David Wigg-Wolf, Lucia Travaini, Fleur Kemmers, Helle Horsnaes, and others. The book may be ordered from Routledge.com at a 20% discount using the code FLR40. (Routledge 2018, ISBN 978-1-472-48592-2, eds N.M. Burström and G.T. Ingvardson, series Religion and Money in the Middle Ages).